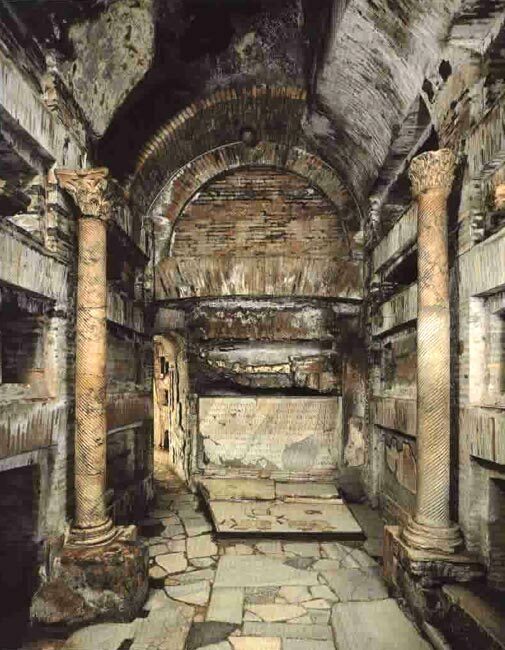 Catacombs, Appian Way and Basilica of Saint Paul. 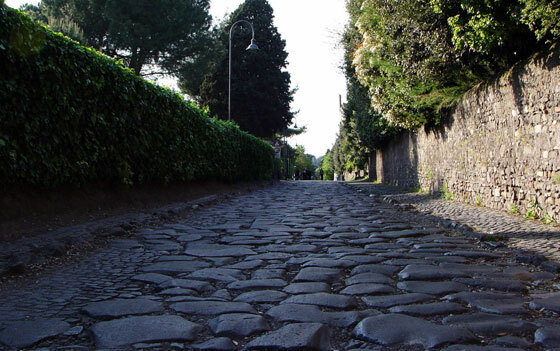 From first Christians up to their triumph; history along Rome's first road. Visit the catacombs, one of the underground Christian cemeteries, and walk over the Appian way on the same stoned pavement as the Romans walked on 2000 years ago. Visit the basilica of Saint Paul “Outside-the-Walls,” one of the four major basilicas of Rome. 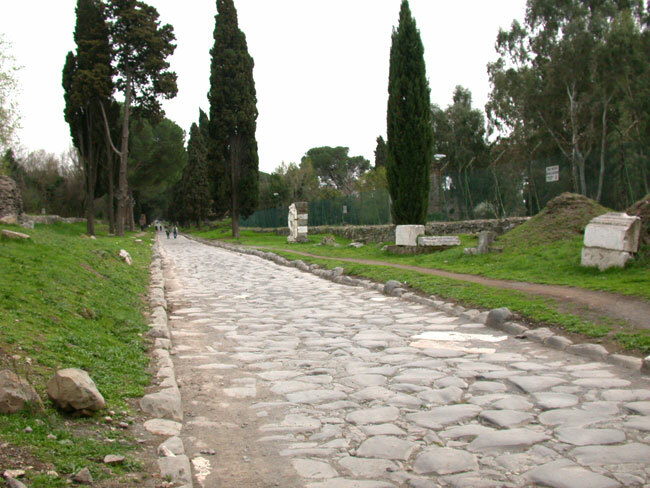 We start our driving tour from the top of the Aventine hill and reach soon the ancient Appian Way, the first and most celebrated of all roads leading to Rome. 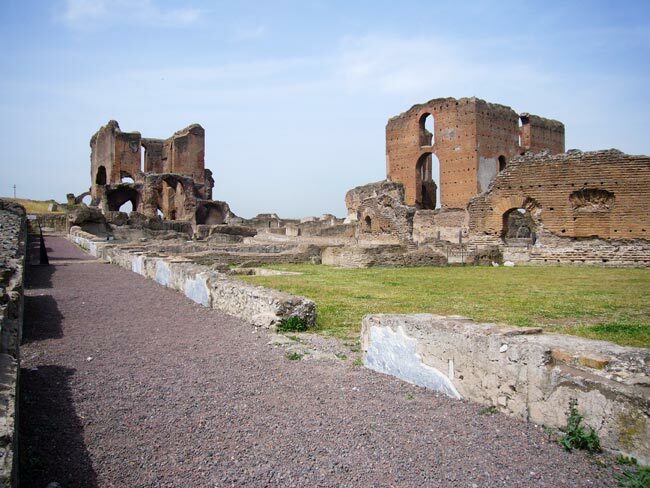 After passing the original roman gate, Porta San Sebastiano, we start rolling back into time as we see a series of ruins on both sides inside green areas, a view that still evokes the glorious past of Rome. 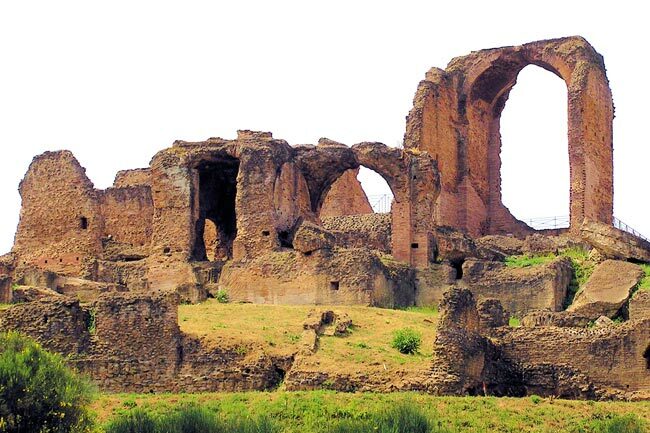 You’ll experience this while passing by the ruins of the huge Circus of Maxentius and the tomb of Cecilia Metella as we find our way to the Catacombs, the famous underground cemeteries. Christians from the 2nd century on started to bury their relatives in niches along long tunnels excavated below ground belonging to Christian landowners. Some 70 catacombs were constructed along 150 km, almost one hundred miles worth. We then return to Rome for a last stop at the Basilica of Saint Paul Outside the Walls. It is one of the oldest and largest churches, founded in the 4th cent. AD by Constantine and built on the spot where the disciple Paul was buried. A fire in 1823 destroyed the old basilica and it was rebuild. Even if the present church is a 19th cent. copy of the original, it still represents a perfect example of early Christian basilica architecture. Note: No shorts nor bare shoulders. The visit in the Catacombs will be done by a local expert.